Originated from Taiwan in the 1980’s, Bubble tea is also named as peal milk tea, boba tea or tapioca ball tea. Basically, bubble tea is a tea-based drink that usually contains a mixture with milk, fruit flavor and tea base. Now the sellers sometimes add other ingredients for extra flavor for example matcha, taro and strawberries. Making an excellent bubble tea at home is quite easy and quick as long as the ingredients are available. This is a very lovely drink for good afternoon time. 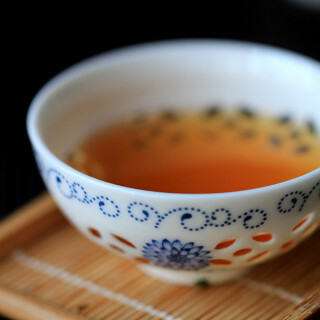 Besides, you can also add other flavoring like fruit or use green tea or matcha powder instead of black tea bag. Just play around and find your own favorite flavor. 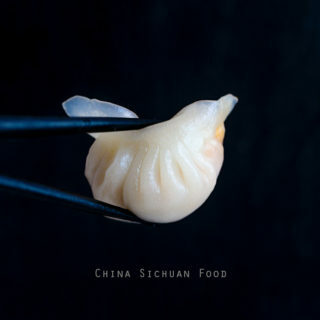 Cook and prepare the small pearls | Pearls are made from tapioca and sometimes with food coloring. 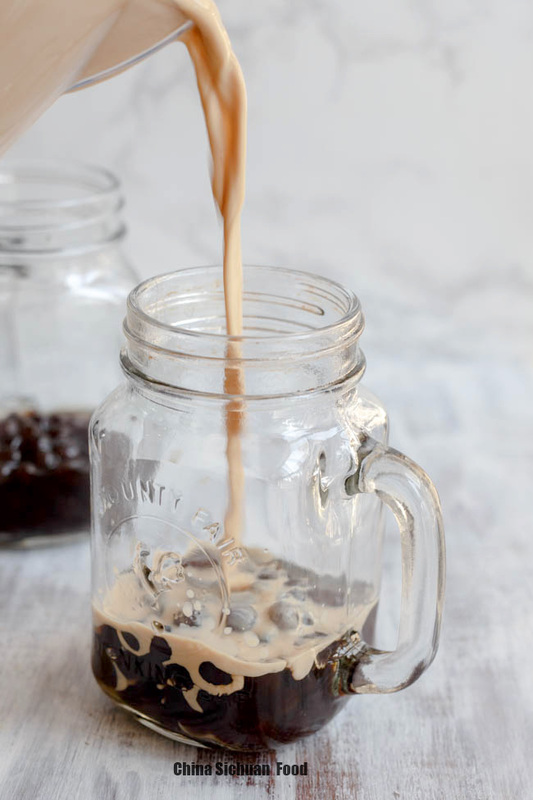 The most common pearls are dark brown and a tiny redness.You can try to buy boba pearls in Asian stores or even to make some at home. They can be red, black or white depending on the sugar used. 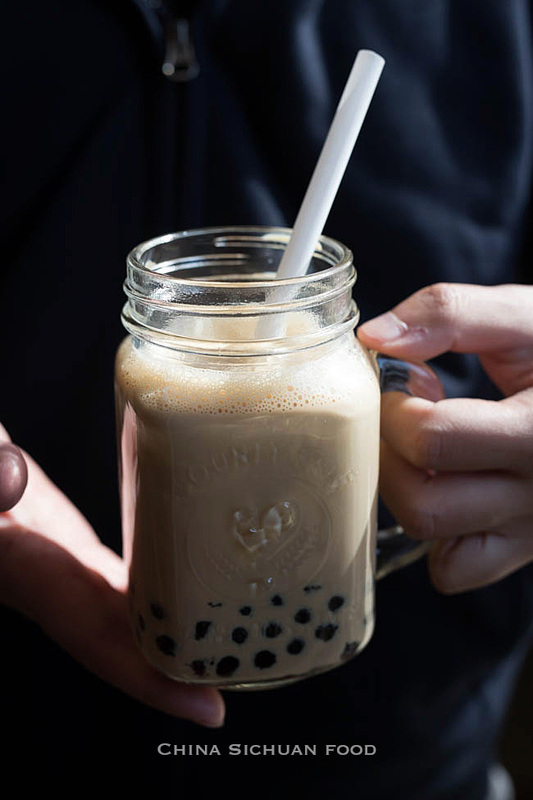 The Pearl used in this recipe can be bought from Amazon: BLACK BUBBLE TEA BOBA TAPIOCA PEARL 2.2LB. Read the instructions on the package at first.Do not mix your pearls with cold water, otherwise they will be destroyed. Bring enough water to a boiling and then cook the pears for 2o to 30 minutes (time on your package). Then transfer out and wash with cold water. 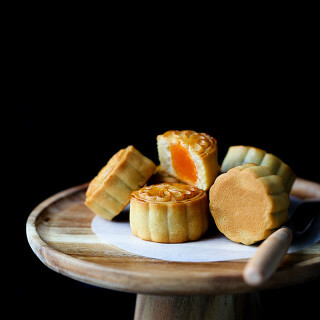 Before assembling with milk tea, they are mixed with sugar syrup or honey so they will not be tasteless in the sweet milk tea. Add around 1/4 cup of cold water with 2 tablespoons of sugar to the bubble pearls. Set aside. 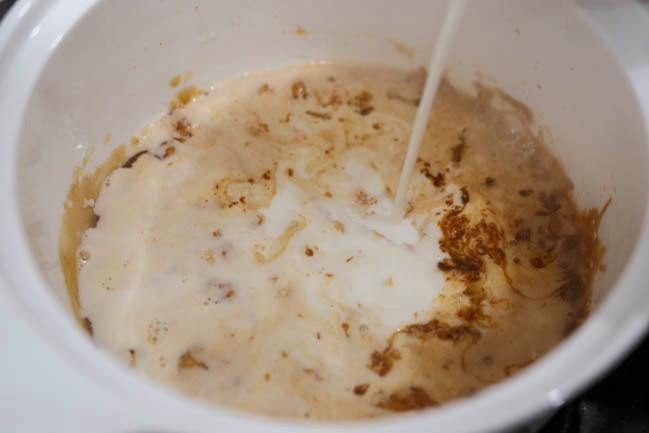 Prepare the milk tea | After making my own bubble milk tea at home, I prefer the caramelized version. Caramelized sugar generates hundreds of new and different compounds, with richer flavor and dark color. 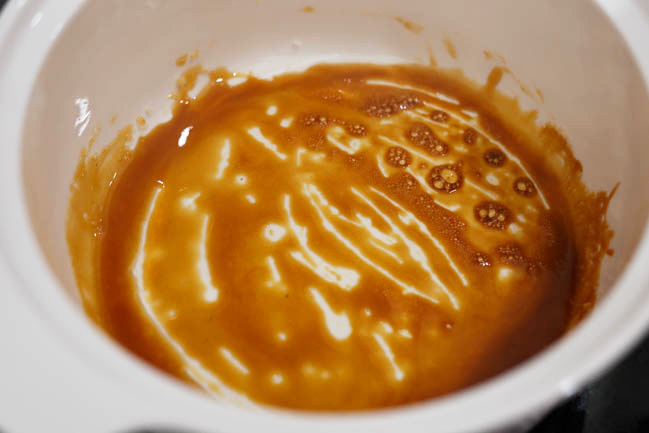 We call this type caramelized milk tea. 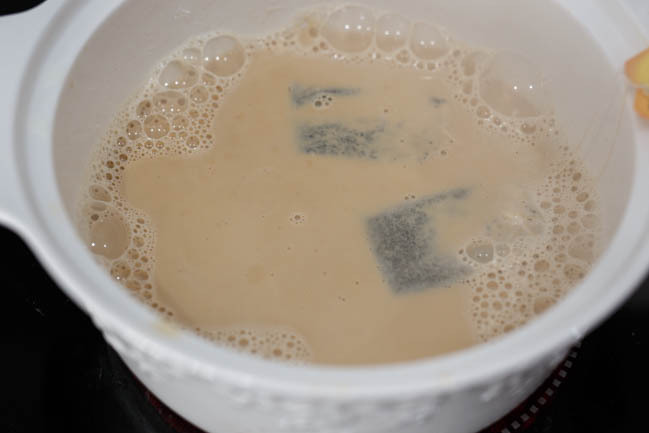 You can simply skip this step and add sugar directly to the milk tea. 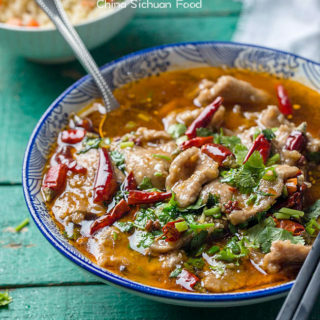 First, choose a claypot or cast iron pot and heat the pot until really hot. Add around 2 tablespoons of sugar in and stir continually with a scoop. Heat over slowest fire until the color turns brownly red. Add milk in and then place tea leaves or tea bags in. Simmer until almost boiling. Assemble the milk tea| place pearls in two serving cups and then pour the milk in. The milk tea can be served either hot or cold. If you prefer a cold version, add iced cubes. Chinese Bubble Tea Recipe--One of the most popular street drink. Read the instructions on the pearls package at first.Do not mix your pearls with cold water, otherwise they will be destroyed. Bring enough water to a boiling and then cook the pears for 2o to 30 minutes (time on your package). Then transfer out and wash with cold water. Add the pearls in two cups and pour the milk in. Enjoy. Oh, I’m happy to see a recipe for bubble tea. 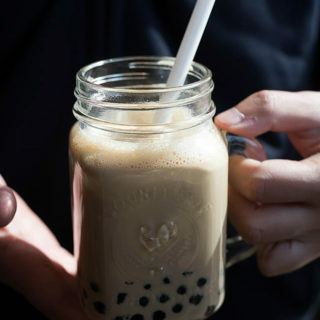 How do you make boba pearls? I can’t buy them where I live in Canada. I bought the boba pearls from market. 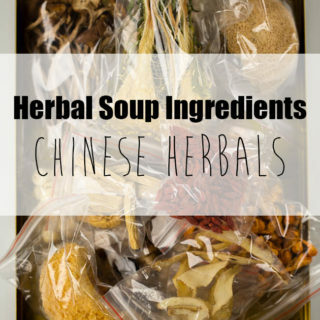 Try to find it on amazon or local Asian Market. If you really want to make it at home, use tapioca flour(120g to 140g), sugar(30g) and water (60g)to make mixture. Then coat your hands with starch and roll the small balls one by one. Then roll the balls in tapioca starch to make the balls. But it is very time consuming. I would like to try the bubble tea. The place I live, i get fresh tapioca. 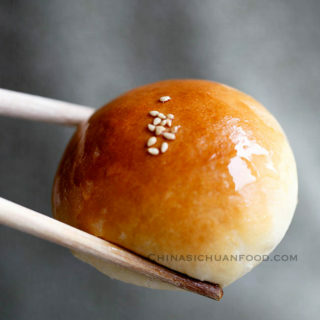 Can I make balls with boiled tapioca? 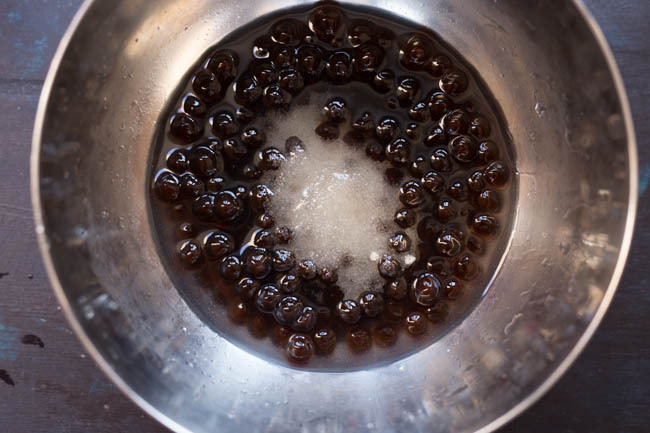 I never tried to use boiled fresh tapioca to make Boba balls.But it sounds like a good idea if the boba balls are really hard to find. 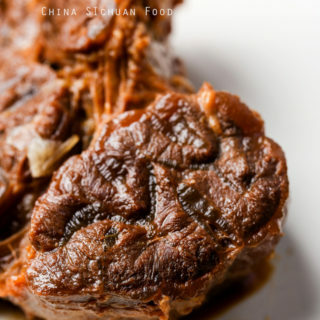 But fresh ones cannot be as chewy as starch balls. 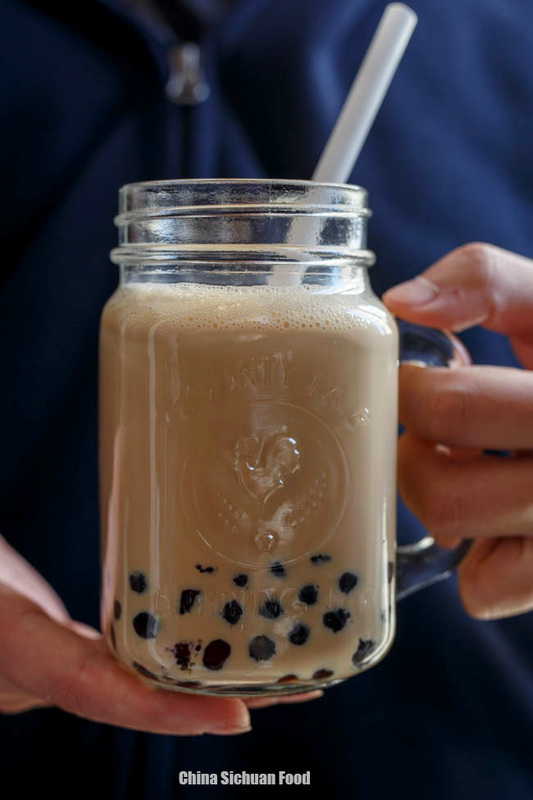 I am obsessed with bubble tea.. definitely need to get my hands on some tapioca pearls so I can make one myself. 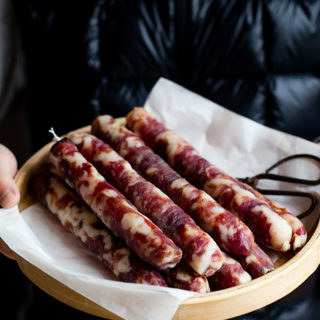 Thanks for the inspiration and recipe! 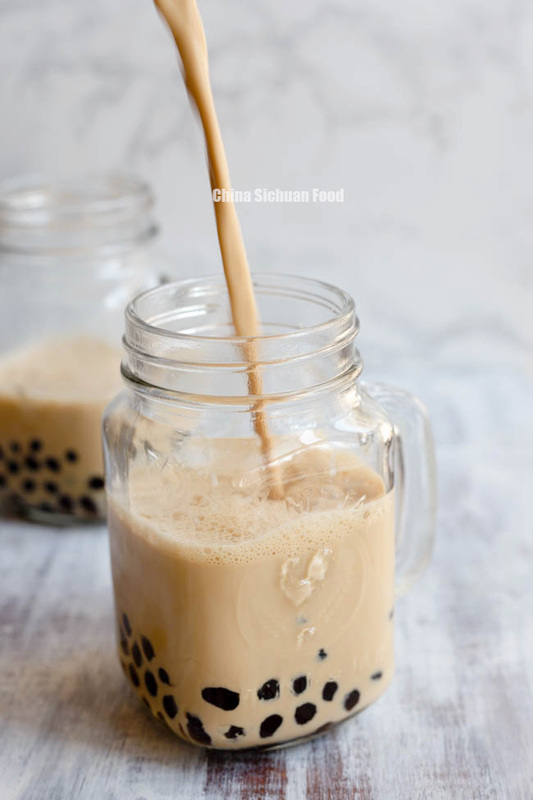 Homemade bubble milk tea is much healthier without weird ingredients. Try it yourself whenever possible. Just a suggestion for making your blog easier to read: don’t depend on spell check to correct typo’s! A number of typo’s in this article make it difficult to read. Thanks Sammi for your suggestion. 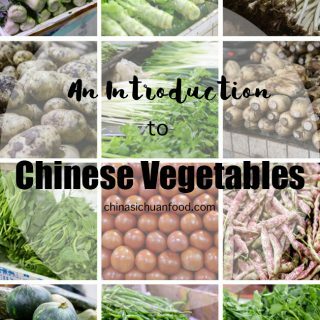 I will pay more attention to my English writing in following recipes. Your English is good. I have no problem understanding what you mean. You are welcome, Beatrice. 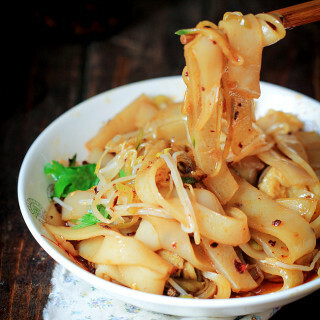 Hope you like your homemade version and free to enjoy milk tea at home whenever you want. Bubble tea is easy to make and fun to enjoy. It can also be anjoyed anytime. Do you mean that you cannot find store selling boba tea or the boba balls? If there is no boba tea shop, why not just make yourself one serving at home? How long can I keep the bubble tea after making it? I hope that you can finish them within 1 day. Your milk tea with the caramelized sugar is the absolute best! I used the PG Tips (British black tea) and brown sugar. 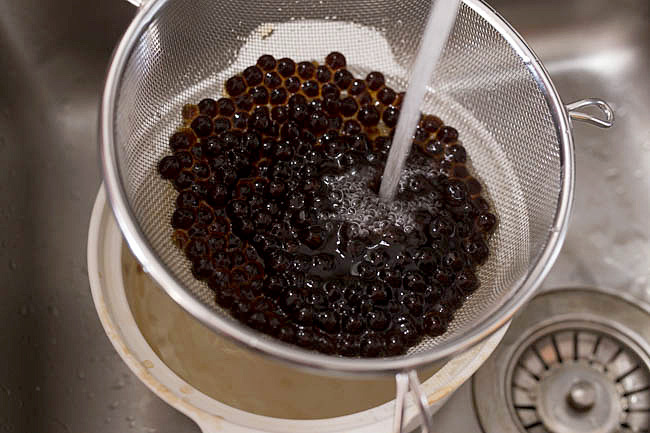 I skipped the tapioca balls – though I remember using them before and the syrup they come in adds a unique flavor to the tea. I love this version very much myself. Happy cooking!